Jorge Lorenzo says he ‘couldn’t wait’ to get this weekend’s action at the Circuit of the Americas underway after making a major breakthrough last time out in Argentina only to be denied a chance to test it by a first corner fall. Radically altering the ride height of the Ducati in an attempt to set it up the way it needs to be and to stop trying to turn it into a Yamaha for the first time since making the move to the Italian manufacturer, he was cheerful with the progress they’d made even after crashing out of the race in Argentina – and says he’s raring to try it out at the Circuit of the Americas. 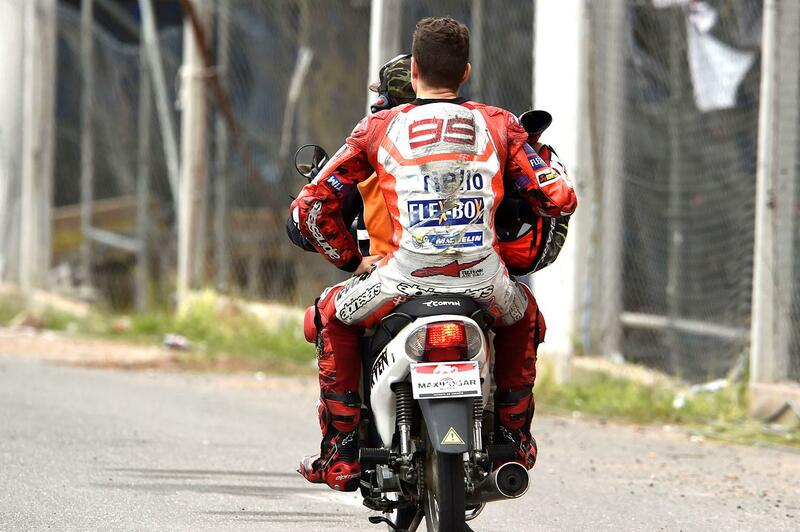 “Finally we have arrived at Austin, and I just couldn’t wait to get here after my crash at Termas de Río Hondo. I don’t want to think about what happened in Argentina anymore, and even though the results up until now haven’t gone our way, I think we are on the right track to improve. Unfortunately for one reason or another, I haven’t been able to demonstrate this. On the other side of the Ducati garage, teammate Andrea Dovizioso says that he’s got the frustration of last weekend out of the way – when he was knocked off for the second year in a row – with a holiday, and is hoping not to repeat last year’s Austin race where he also got in the way of someone else’s crash!